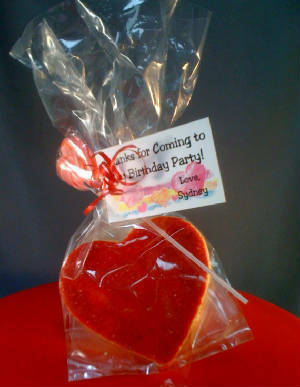 Add Your Business Card or We'll Make a Personalized Gift Tag for You. 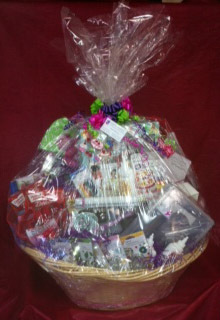 Then we'll Package up any Gift Idea With Coordinating Cellophane and a Matching Bow! 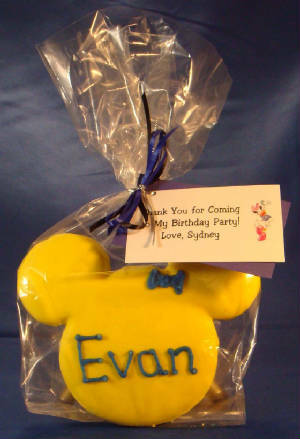 Personalize Your Individual Cakes to Provide a Special Thank You! 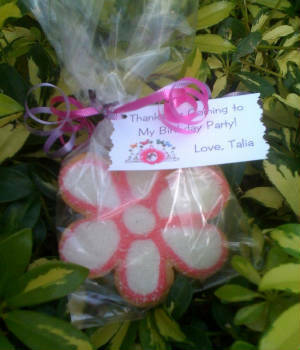 Personalize 'Thank-You' Cookie Shapes & Colors to Match your Event Theme! 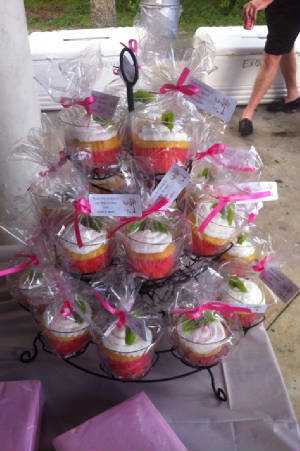 Mini Cupcakes For Your Clients! 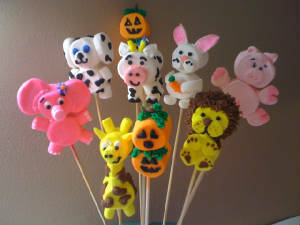 Personalize Your Own Marshmallow Characters! 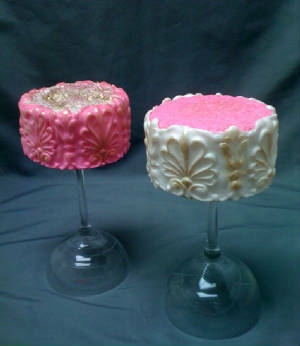 Make These At Our Most Popular Class! 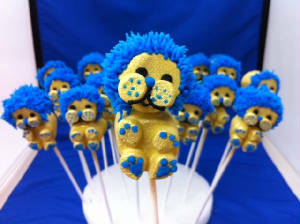 Marmallow Lion Mascot in School Colors: Blue & Gold! 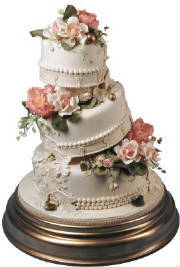 Add a Gift Certificate for Classes to Your Cake Decorating Gift Basket! 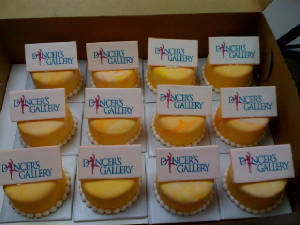 Everything You Need to Create Your Own Cake, Including Gift Certificates for Our Classes!